Many History teachers are reluctant to assign writing tasks because providing the necessary feedback slows down the pace of a course and reduces the amount of content one can cover. I think this is a false dichotomy and believe teachers can use writing tasks to help students gain a deeper understanding of historical content, thus, the rationale for this blog and MOOC. Since state testing was suspended last year, I doubled down on the amount of writing I usually assign and my World History students wrote twelve argumentative essays, or DBQs. At the beginning of the year, my students (mostly 10th graders) wrote an average of 182 words per essay, by the end of the year, their word production grew 57% to 322 words per essay. These essays paraphrased, or explained an average of 3 documents (out of 6-8 document sets) and contained more three citations per essay. This year, I will again assess students at the end of each unit with a historical writing task. However, I will center my focus on the Common Core writing standards, which demand increased emphasis on informative/explanatory writing and historical narrative. I developed three essay prompts to assess the content knowledge of my students and provide differentiation. Instead of giving students all the same prompt, they will have three to choose from. This blog-space will report on the results and illustrate how History teachers can become writing instructors without skimping on content delivery. Subsequent posts will co-opt the format of the award-winning book, They Say, I Say: The Moves That Matter in Academic Writing by Gerald Graff and Cathy Birkenstein, in order to model how teachers can help students improve their historical writing. PROMPT #1 Argue that Plato and Aristotle held an essentially positive (or negative) view of human nature. In a well-reasoned essay, support your position using at least three of the quotes below as evidence to support your position. Prompt #2 Write an informative/explanatory essay about the lives of the big three Ancient Greek philosophers, Socrates, Plato, and Aristotle. Include biographical facts as well as the contributions each philosopher made to Western political thought. Prompt #3 Write a historical narrative retelling the Suicide of Socrates from one character’s point of view (Socrates, Apollodorus, or Crito). Tell the story of why Socrates was put on trial, what happened at the trial, and what happened at the end of the trial. 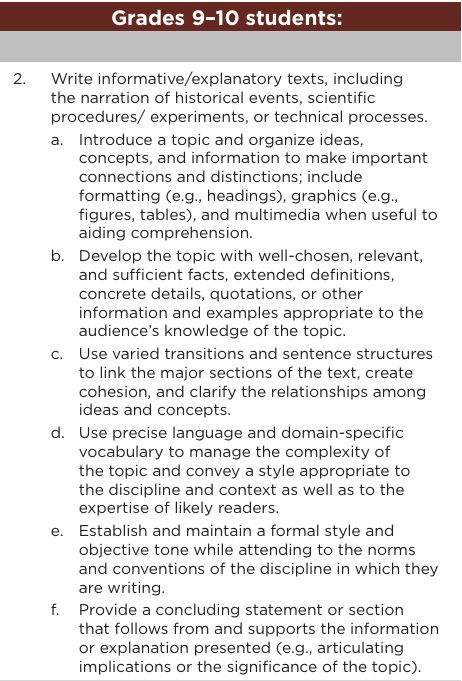 In my directions to students, I note that all essays should follow the five-paragraph format (skipping lines between paragraphs) with an introduction/background paragraph, three supporting paragraphs, and a concluding paragraph. My next few posts will discuss the results of these assessments and include some tips on showing students how to improve their writing. The Suicide of Socrates – a rhyming tweetathon was inspired by Dan Krutka & Michael Milton’s terrific work, which is paraphrased, or heavily borrowed from below. If you would like to steal their great ideas, follow them on Twitter @dankrutka & @42ThinkDeep, respectively. Even though young people are increasingly using social media in their everyday lives, educators have been slow to explore how they can extend the classroom online. The National Council for the Social Studies (NCSS) reported that students face a “digital disconnect” as they walk into social studies classrooms and are forced to unplug from the online world where they spend most of their time and energy. Many schools and districts block popular social media sites and ask students to keep their cell phones turned off and put away while in class. These short-sighted policies most likely prevent contemporary educators from adding an essential ingredient crucial to student engagement – relevance. Twitter is a microblogging service where users send “small bursts of information,” called “tweets,” to others. Using Twitter with students can provide an opportunity to model valuable skills and dispositions regarding digital citizenship and social media literacies. Informal online learning environments that many young people freely join may result in the creation of participatory cultures that represent ideal learning environments. Krutka & Milton (2013) summarized an emerging body of research that has examined the use of Twitter in education. Most students voluntarily backchannel with Twitter and this increases the understanding of course concepts. Tweeting is useful for encouraging concise writing and has even be used with first and second grade students to scaffold writing for an authentic audience — their families. Other research suggests that tweeting encourages the informal learning, or background knowledge that helps students connect their schema to a course curriculum. Also, Twitter may increase metacognitive function by promoting succinct reflection. 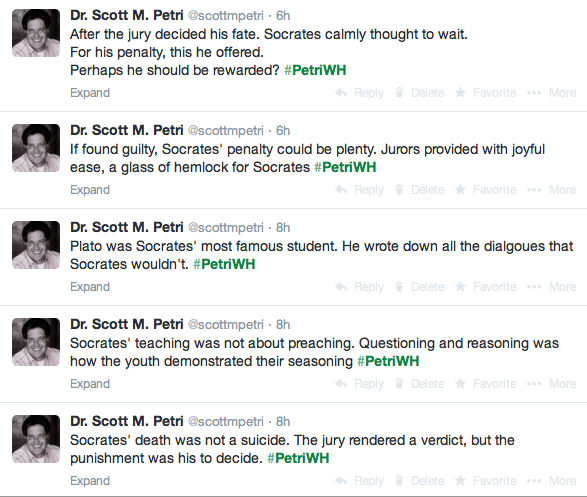 With this foundation, I decided to try to make the suicide of Socrates more relevant to my 9th & 10th grade World History students by asking them to read a primary source, retell it in rhyme, and then we would vote on the best examples by retweeting and favoriting couplets of their work. I motivated students by showing a Dan Pink video – http://www.danpink.com/2013/06/how-to-pitch-better-the-rhyming-pitch. The primary source is located here: http://www.eyewitnesstohistory.com/socrates.htm and the rhyming dictionary is here: http://www.rhymezone.com/. Students submitted their version of the story in at least 10 rhyming couplets. There was considerable variation in quality in the final products. The end results were highly entertaining. 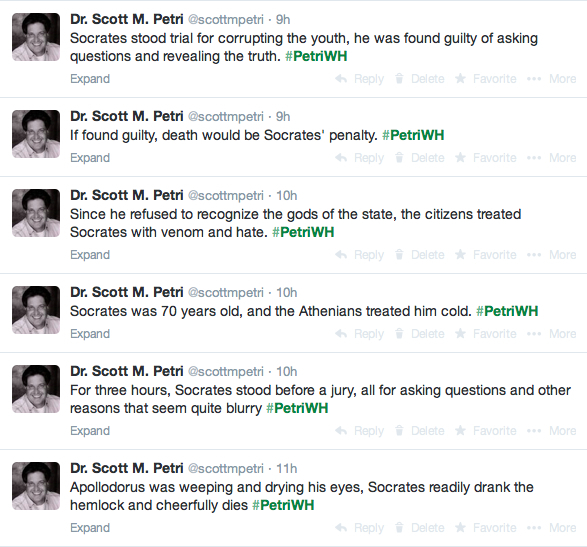 You can see the best couplets on Twitter by searching under the hashtag #PetriWH. Students were given a master list of the 20 best rhymes and were directed to cut the list down to 10 and properly sequence them with a beginning, middle, and end. Student engagement was high during this narrative writing exercise. This post publishes some of the better examples. We will see if this scaffolding exercise makes their formal essays better next week. A game-based formative assessment tool measured their knowledge in a fun and engaging fashion https://play.kahoot.it/#/k/16093094-257a-47c5-a48c-13c2377d8171. The big takeaway for me was that asking students to use Twitter as an educational tool was something they responded to positively. Thus, educators may be well-served to incorporate Twitter and other social media, in order to meet students in their digital world and provide 21st Century relevance to an age-old lesson. If you are not in a 1:1 classroom, your students don’t have access to Twitter, or you suffer from tech-phobia, feel free to use this template. Krutka, D., & Milton, M. (2013). The Enlightenment meets Twitter: Using social media in the social studies classroom. Ohio Social Studies Review. Volume 50, Issue 12. Fall 2013. When we read “in real life,” – as readers of novels, newspaper and magazine articles, Internet sites, poetry, and scholarly journals, we may often feel that good writing is like good art—we’re not sure exactly what goes into it, but we know it when we see it. It is a cliche, perhaps, but good writing persuades us, moves, us, inspires us, entertains us. Yet, as teachers, how often do we read good writing from our students? When we see a large stack of papers in front of us, do we sigh with pleasure, anticipating the delights of cleverly worded phrases and interesting insights—or do we groan under the weight of the effort (both our effort and our students)? Writing has gained new prominence and importance for Social Sciences and History teachers in the Common Core. Social Sciences and History teachers are now writing instructors, as well as History teachers. Teaching good writing skills is something many teachers struggle with, as teachers seek to balance instruction amongst multiple priorities—from good grammar to keen insight. Obviously, for the History instructor, the time able to be devoted to developing writing is necessarily limited. How can teachers choose from the many writing strategies that have been researched and developed and incorporate just those ones that will have the greatest impact in their own History classroom? Selfishly, how can we increase our own pleasure in reading what our students write, but teaching them to become better writers? 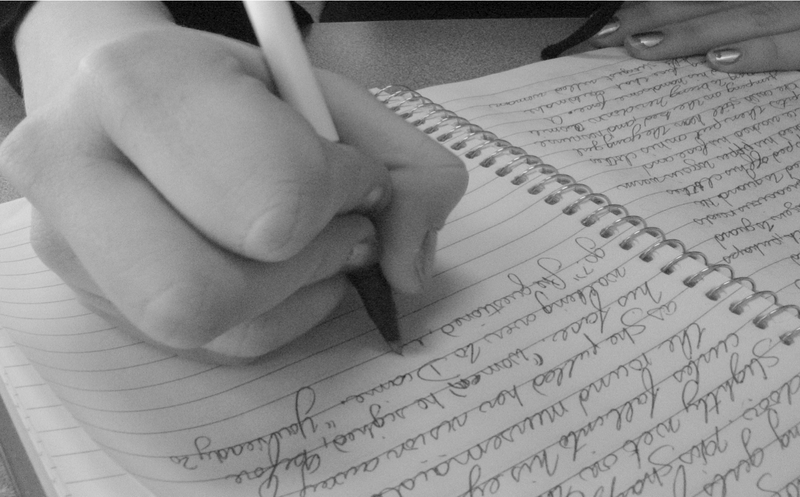 How can our students become invested in improving their writing? What strategies really work? (1) Students need teachers. Students need teachers to give them specific strategies for planning, writing and revising. Those strategies where students learn to self-regulate these techniques are particularly potent. (2) Students need to know the material. Learning effective strategies for summarizing reading material. This improves comprehension of the material AND their ability to write about it. (3) Students need each other. Writing strategies where students work collaboratively to plan, draft and revise are very effective. (4) Set Goals. Students need a purpose for writing (such as to persuade the reader) and to understand what persuading the reader, for instance, includes. Students with a clear understanding of purpose write more effectively overall: teaching students to respond to a DBQ, for example, is great for this. (5) Get them to Ask Questions. Writers are curious. Teaching methods of inquiry is valuable skill for teaching historical interpretation, and is also an important aspect of producing good writing (and writers). These are not the only high-impact methods Graham and Perin found: providing students with good models of great writing, encouraging students to use a word processing program, engaging in pre-writing activities, and having a teacher who engaged in high-quality professional development in writing are all additional items highly correlated with improved student writing. Good research exists about which writing strategies will be the most worthwhile to introduce into your classroom, as you seek to improve the quality of your student’s writing in History and the Social Sciences. Graham, S. and Perin, D. (2007). A meta-analysis of writing instruction for adolescent students, Journal of Educational Psychology 99(3), pps. 445-476. David Cutler interviewed historian, Eric Foner, in the Atlantic magazine. The entire interview is worth reading. The article is cleverly titled – You Have to Know History to Actually Teach It. Cutler asked Dr. Foner: Do you have other specific advice for what teachers can do to more effectively instruct history students? The first thing I would say is that we have to get away from the idea that any old person can teach history. A lot of the history teachers in this country are actually athletic coaches. I mention this in class, and students always say, “Oh yeah, Coach Smith, he taught my history course.” Why? Well, Coach Smith is the football coach, and in the spring he’s not doing much, and they say, “Well, put him in the history course, he can do that.” They wouldn’t put him in a French course, or a physics course. The number-one thing is, you have to know history to actually teach it. That seems like an obvious point, but sometimes it’s ignored in schools. Even more than that, I think it’s important that people who are teaching history do have training in history. A lot of times people have education degrees, which have not actually provided them with a lot of training in the subject. Under Common Core, all teachers need to be writing teachers. Unfortunately many History/Social Studies teachers have not had significant instruction and/or practice in historical writing. Worse, very few teacher professional development seminars focus on this topic. As a first step toward becoming writing teachers, Social Studies teachers can increase student literacy skills by inspiring their students to interpret history through documents. This website will curate many of the readings and resources for the course over the next six months. We are excited to connect and collaborate with History teachers around the globe. So far we have confirmed the following Guest Lecturers: Dr. Chris Schunm (Pitt) Implementing Peer Review; Dr. Darren Reid (Coventry U) Sourcing & Contextualizing Primary Sources – modeling teacher thinkalouds; Dr. Sherri Colby (Texas A&M, Commerce) Historical Narratives; and Will Fitzhugh (The Concord Review) Teaching with Examples. We are actively reaching out to others in the Historical Writing community. Please feel free to comment or email us any suggestions. We hope to see you in class on January 12, 2015. Which Tasks Improve Historical Reasoning? Scholars do not know the influence of specific task structures on students’ writing or historical reasoning. Historical reasoning is defined as analyzing evidence, understanding the meaning of evidence, and using evidence to construct and explain historically plausible accounts of the past (p. 291). Do all argumentative writing tasks provide students with the same opportunity to develop their historical thinking or writing? Are some ways of framing questions to promote historical thinking and writing better than others? Can the structure of a writing prompt influence student outcomes? This study suggests YES. The type of task explained 31% of the variance in the quality of students’ overall historical reasoning. Much of the research on history writing has focused on how students draw on multiple sources in constructing essays. Some attention has been given to comparing argumentative writing in comparison with other genres such as narratives, summaries, and explanations. Almost zero research has been done on what we ask students to write and how that affects their thinking and writing. In developing arguments, writing is often complicated by patterns of thinking and working with evidence. The use of evidence indicates aspects of disciplinary reasoning, including recognizing biases in sources, comparing evidence, situating evidence in its context, and taking into account different perspectives and multiple causes. Historical interpretations rely on the public display of evidence to substantiate claims – a claim cannot stand without evidence. In defining approaches to historical texts, Sam Wineburg identified discipline-specific ways of reading and thinking. For historians, primary documents are regarded as excerpts of social interactions. They have to be reconstructed with context added to make the documents meaningful. Providing writing prompts that require close reading and consideration of the author’s perspective supports historical thinking and greater understanding. So, perhaps the structure and focus of the writing prompt affects the quality of students’ historical reasoning? These researchers sought to find out how. The authors created four reading and writing tasks using the same documents and randomly assigned one task to each student. Each task presented the same background information adapted from the social studies textbook. They worded each prompt differently to frame the issue of Cold War causes from a variety of historical angles. The situated prompt encouraged students to imagine they heard these speeches and write as though they were living in 1947. The sourcing prompt encouraged students to focus on the motivations of each author in making their respective speeches. The document analysis prompt encouraged students to identify similarities and differences in the documents. The causal prompt asked students why Churchill and Truman spoke out against the Soviet Union and communism directly. At the end of each prompt, the researchers asked students to write “M.E.A.L.” (main idea, evidence, analysis, and link to thesis) paragraphs. The sourcing, document analysis, and causal prompts were associated with higher student scores. The situated prompt had the lowest mean score of all the tasks. Results indicated that the writing prompts centered on sourcing, corroboration of documents, and causation were more likely to focus attention on historical perspectives than prompts that asked students to imagine themselves as historical figures. Because so much of history relies on evidence-based thinking, prompts that focus students directly on sources may be more likely to promote historical reasoning. Unfortunately, when most history teachers assign writing, the focus is on summarization. Because interpreting history relies on reconciling multiple sources of evidence, this focus inhibits historical reasoning. So, the key takeaway from this study is – how can high school history teachers create prompts that emphasize corroboration, sourcing, and causal analysis into their classroom practices? Monte-Sano, C., & De La Paz, S. (2012). Using writing tasks to elicit adolescents’ historical reasoning. Journal of Literacy Research, 44(3), 273-299. This week our discussion board will focus on developing prompts like these and integrating them with your lessons that are already in progress. Please describe the grade, level and subject you are teaching, the focus of your lesson, and identify an idea for an essay that could that emphasize corroboration, sourcing, and causal analysis. The community will chime in and suggest ideas for documents, scaffolding, and fine-tuning. Follow the rule, give one to get one.